Would you like to get on the path to better health without the use of drugs or surgery? We want to help. 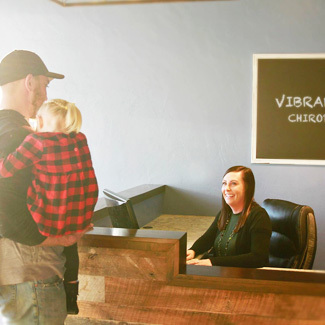 Dr. Christophe Purtell opened Vibrant Life Chiropractic on January 15, 2018, with the goal of assisting practice members, naturally. With techniques based on improving your neurology, you’ll find that we offer something different than what you’ve experienced in other health care practices. We don’t just want to return you to your favorite activities and allow you to live without discomfort — our goal is to help you achieve a vibrant, abundant life with chiropractic care! Too many people think that pain is a normal part of life that they have to put up with. We know that you can live without these limitations. By tapping into the natural healing power you have inside of your body, you can enjoy your best health. Along the way, Dr. Christophe and his team will provide you with the information, support and encouragement you need. If you haven’t been to a chiropractor before, or if you have but are unfamiliar with neurologically based techniques, you might be wondering what we do. If you have a spine and a nervous system, we can evaluate you to be sure that you’re living at your highest capacity. A simple check of the nervous system, which is the control center for the body, can look for areas of interference that might be holding you back. To find out whether we can help you or to schedule your time, contact our Oshkosh chiropractic office today! We offer convenient late opening hours.